My 42 – Step Movement Massage facials were originally created by Dr Payot to lift and tone the facial muscles – a ‘work out‘ for your face. Frankincense essential oil – This sweet, aromatic oil is steam distilled from the resin, extracted from the bark of the frankincense tree. Deeply rejuvenating, this oil is used in the award-winning, age-defying skincare range used in my anti-ageing facial. This rejuvenating facial purifies, smoothes, plumps and tones to reveal younger looking skin that’s beautifully soft and supple. In ancient times, it was believed that frankincense created a pathway between the earthly and divine worlds. Today, in aromatherapy and mindfulness practices, it’s used to promote a state of relaxation, helping to encourage slower and deeper breathing……a very relaxing facial treatment. This nurturing oil has a sweet, floral fragrance and is distilled from Turkish damask roses that are carefully hand-picked in the early morning, before they open and release their precious scent. Soothing and sensual, it nourishes your skin and is great for balancing your emotions and mood during tense times. My 60 minute facial includes the award winning antioxidant facial mask, with nurturing damask rose. This revitalises and brightens normal and dehydrated skin types. With a blend of gently exfoliating maple, gotu kola, purifying kaolin and pink clay, this treatment helps to tone and firm your skin while encouraging a fresher, brighter complexion. Suitable for sensitive skin, this facial begins with a soothing cleanse using a gentle milk. It is the perfect way to cleanse sensitive skin without drying it, by washing away everyday impurities. A delicate blend of soothing starflower, cooling aloe vera, protecting alpine flower and calming liquorice, makes it ideal for all skin types but especially sensitive skin. The final touch of this soothing and calming facial is a wonderfully light, and easily absorbed moisturiser which calms and protects sensitive skin types. Gentle and unfragranced, with extracts of soothing starflower (also known as borage), cooling aloe vera, and protecting alpine flower, it nourishes and strengthens to leave your skin comfortable and rehydrated. All mobile therapies are brought to you in Durham and surrounding areas. Hello, I am a friendly and experienced mobile therapist. I am fully qualified and insured and I regularly carry out extra training to increase my range of treatments. 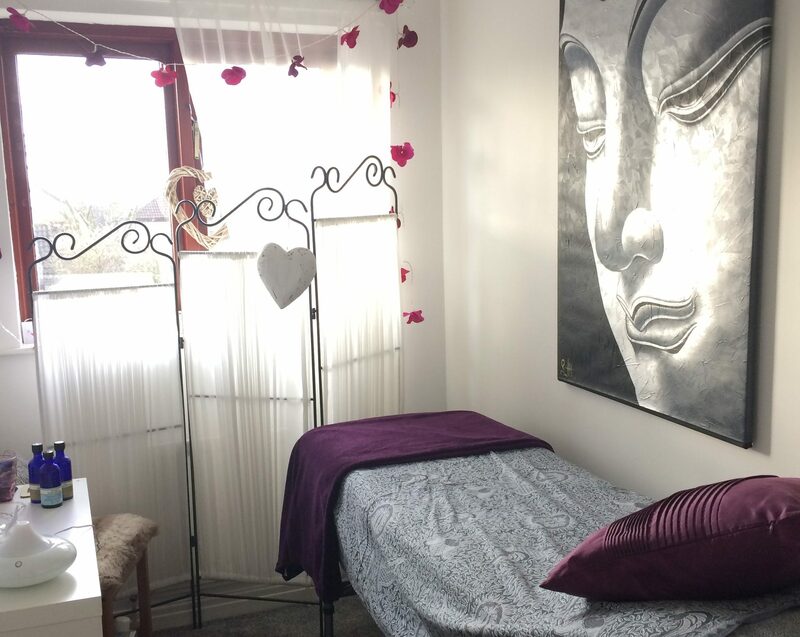 I bring all equipment and treatments to you in the comfort of your own home. In addition to this I carry out treatments in holiday lodges, hotels, wellness centres and glamping sites.